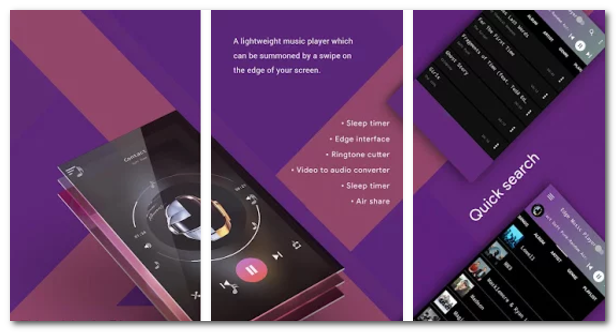 Music player is one of the most accessed Android application, With the edge screen music player, you can add the music player to the edge of your screen and making the music play very easy. The edge player has a color changing gradients which is the biggest interface innovation in any music player. The music player also has best in the class sound reproducing capacity, it is much clear and louder when compared to other apps. 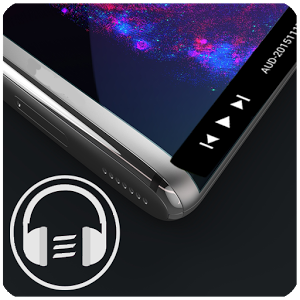 The Music player provides you two modes, a lightweight mode in which a music player sits at the edge of your screen and can be opened with just a swipe on the edge of the screen and a complete music player with the best in class features. Whenever you need the edge music player, you need to switch it on from the app. With instant share feature, you can share your favorite song with all the apps available in your phone making the sharing of songs very easily. The interface is designed to change colors frequently to make it look attractive. ~Use sleep timer and set the time when you need music to stop automatically. ~You can search lyrics online for thousands of songs. ~A ringtone cutter with an option of saving the ringtone as music or ringtone tunes, you can convert and cut any music to make it as a ringtone. ~Aritist images will be downloaded automatically from the internet. ~There are two different views for an album, artist. ~last and most important thing is, it has a beautiful interface with changing gradients.